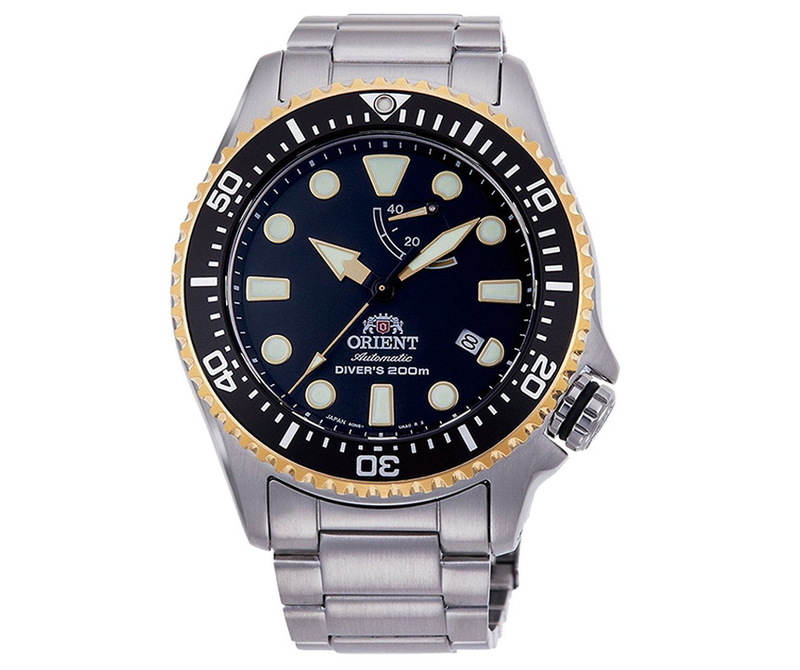 This is the new Triton from Orient taking inspiration for its design from a number of classic Orient divers. For example, the hour markers take after the Ray, while its brushed steel hands are almost identical to those found on the Pro Saturation Diver. Each hour marker is defined by a thick layer of lume surrounded by polished metal, allowing the dial to be visible in both brightness and darkness. 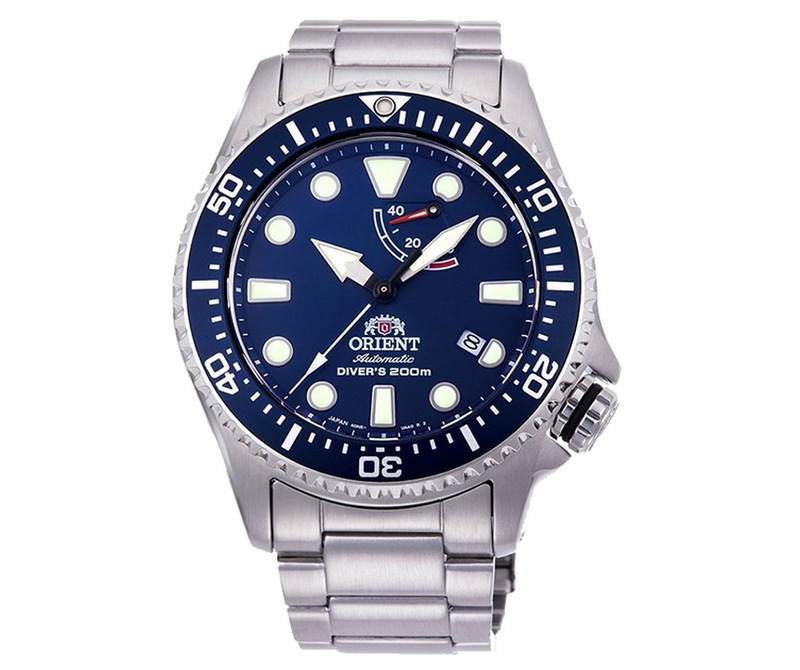 In addition to this, the Triton’s matte dial which is available in black or blue allows the hour markers and hands to stand out clearly during the day. 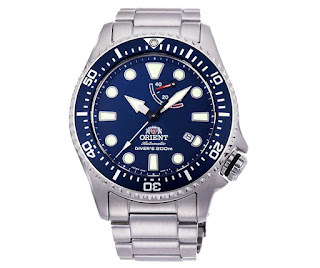 The bezel features a matte insert, and rotates unidirectional with a 120-click cycle. Like other higher-end Orient divers, the Triton boasts a date display as well as a power reserve indicator. The Triton’s dimensions fall somewhere between the Mako and previous M-Force watches at 43.4mm in dimeter with a thickness of 13.6mm. The new Triton proudly sports DIVER’S 200M text which is stamped on its dial and as it is fully compliant with the Japanese Industrial Standard (JIS) for Class 1 Diver’s watches, making it suitable for recreational SCUBA diving. 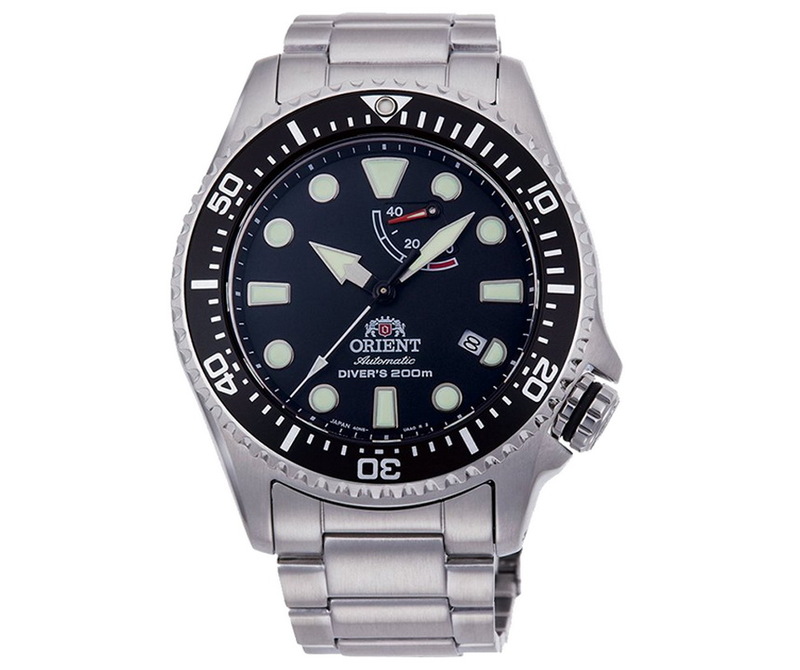 Power comes from an Orient caliber 40N5A, the same automatic, hand-winding and hacking movement that can be found in Orient’s Pro Saturation Diver. MSRP is 655USD.